Surprise! Sketchy Thursday is a week early this month at the Scraptastic Blog (HERE) so that everyone can play along for a chance to at the monthly prize! I know everyone is busy with the holidays but I had fun with this sketch and I hope you will too. 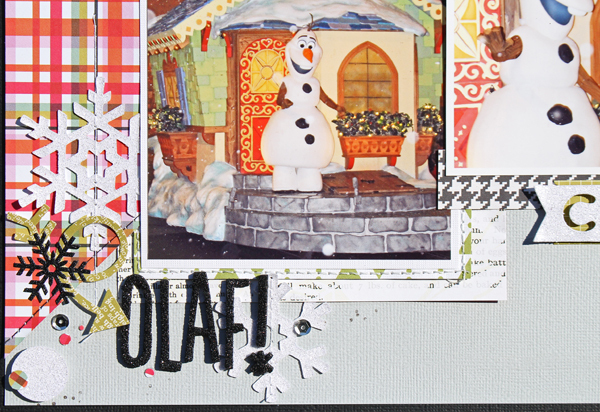 For my example I used the "Most Wonderful Time of the Year" kit, Add on Kit, and Stamp Set. 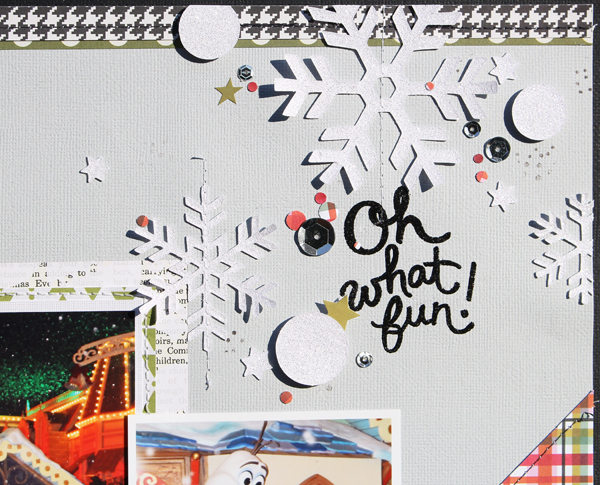 I stamped the "oh what fun" image using black tinsel embossing powder so it's sparkly. Love that stamp set! I also used a dotty circle stamp from the Heartbeats Stamp Set and I only inked bits of it to make little clusters of dots. What an awesome take on the sketch Susan!! Love your page! !